After the visit to the Catalonian Parliament Class 5 and 6 have made a walking tour to discover some Landmarks and Monuments around Barcelona Old Town. We explored Parc de la Ciutadella, Born, and Cathedral quarter. Linked to our project every class in the Primary school has 'adopted' the name of one landmark or monument in our city. 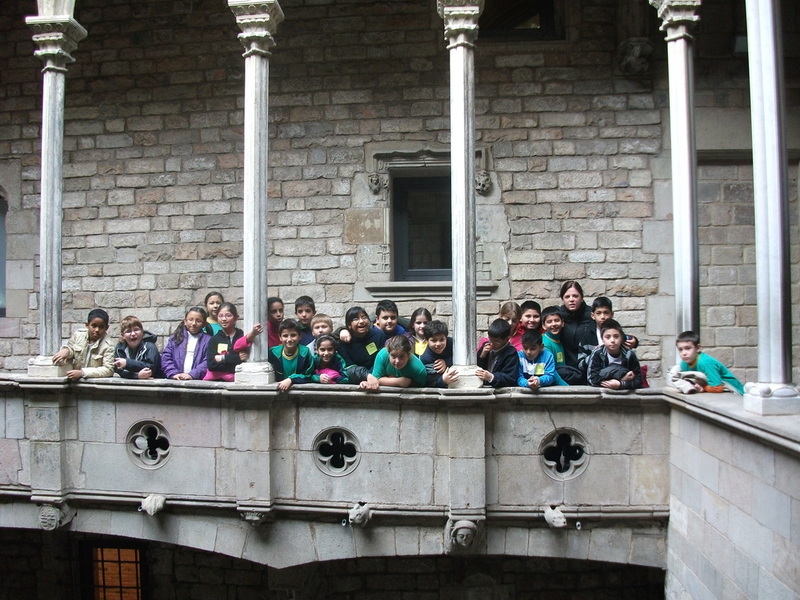 Class 5 is the Sagrada Familia class and throughout the year they have worked and studied this famous landmark in our city. Here we share part of this work. Class 5 has visited a local natural landmark. It is a natural reserve very close to the city but not very know though highly recommended! In small groups children focused on different aspects each: flora, insects, equipments, birds... The next day in school, we put together all the information and created very interesting presentations. Have a look! Here we have some images of their visit. As part of our project we visited Park Güell. One of Gaudi's famous designs and an important Landmark in our city. In groups of 6 we did a treasure hunt around the park and we learned lots of things about it. Every group of children had to solve the questions and take pictures to illustrate. Here we have some images of that day! Picasso is a worldwide recognised painter. We visited the museum, placed in a historical building and we had a a walk around the old town part of our city. On a sunny January day, children in class 5 and 6 visited the temple of Sagrada Familia. We enjoyed a 2-hour guided tour of the basilica which helped us learn a lot about its origins and all the symbolism behind its particular architecture and sculptures. It was an amazing morning!